I’m very pleased to announce that my Home Collection is now available for sale here on the website! 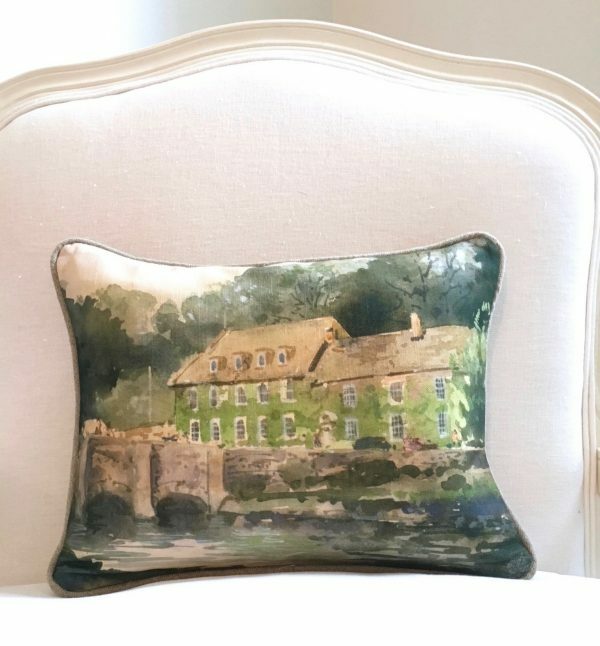 I have been collaborating over the past year with my uncle, artist Peter Etril Snyder to develop a custom line of home goods incorporating his beautiful images printed onto fabric. There are lots of exciting things to come as I delve into the unlimited possibilities this collaboration brings. 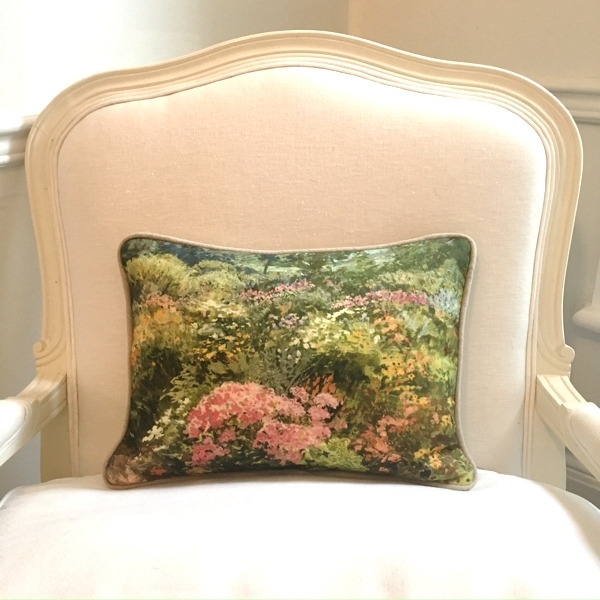 My line of pillows is a wonderful way of incorporating art in a new way into your home decor. They catch the eye and instantly transform any space. 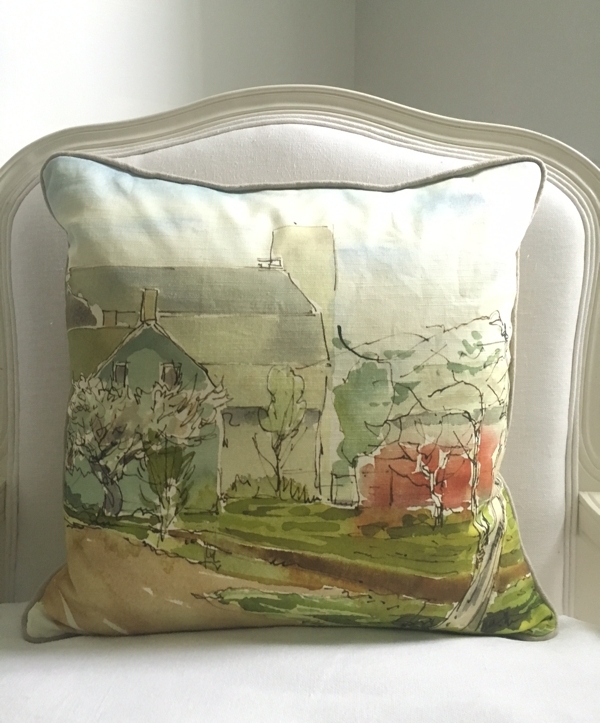 Each image is printed onto a cotton/linen base cloth. I then chose a complimentary fabric for the piping detail and pillow backs to enhance each image perfectly. 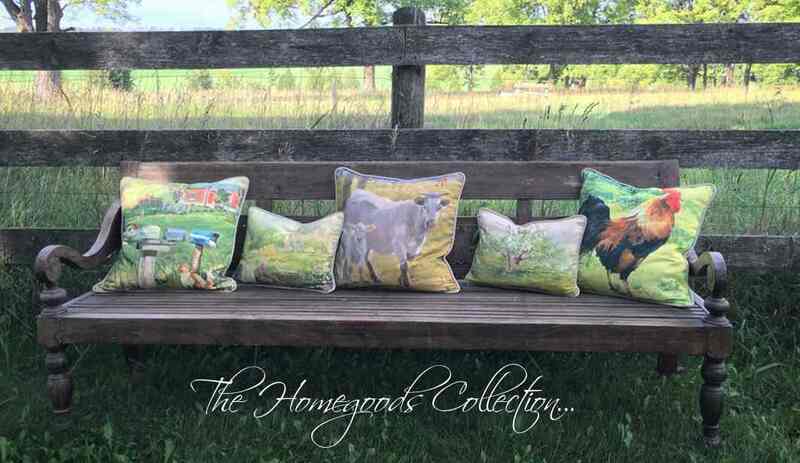 All pillows are custom made with a zipper closure and can be purchased with or without feather/down inserts. There are so many styles of paintings in Peter’s body of work. From romantic scenes of British villages, garden blooms and architecture to depictions of Mennonite life. They all translate onto cloth beautifully and provide there own unique charm. Whether your home is traditional, modern farmhouse, eclectic or transitional you will find pieces you will love. Due to this extensive body of work I have had to choose a small amount of images to feature. 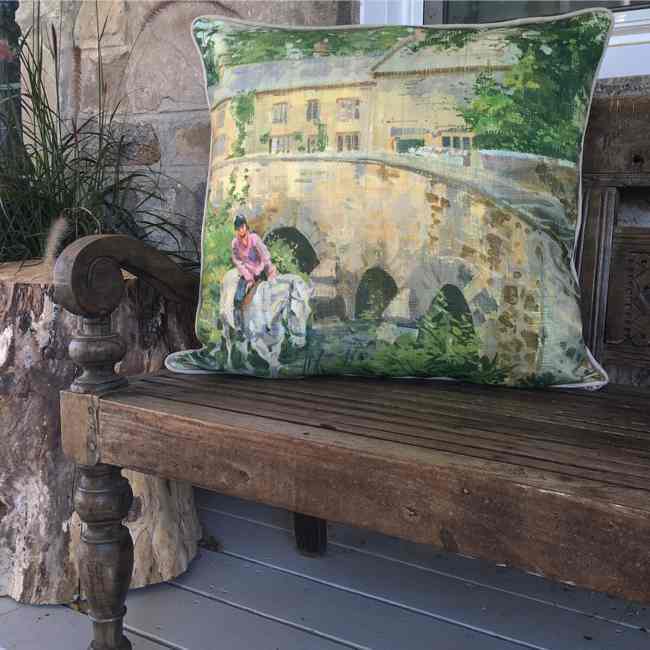 If you are interested in having a custom pillow made from a specific painting of Pete’s not shown please feel free to email me and we can explore the possibilities! In addition to the pillows I have made a series of four murals available on fabric. They can be purchased in two sizes and are suitable for a variety of applications from custom headboards, ottomans, chairs… even stretched over frames for unique wall art. The possibilities are endless. I am working on a very exciting collaboration with Gresham House Furniture using the mural titled Inspired by Bidford -on -Avon. Look for an update on that very soon!! So please pop over to the shop and poke around! I have also added a gift certificate option for those of you who would like to send a gift but would prefer the recipient to be able to pick their own piece. To view the art of Peter Etril Snyder please visit his website. 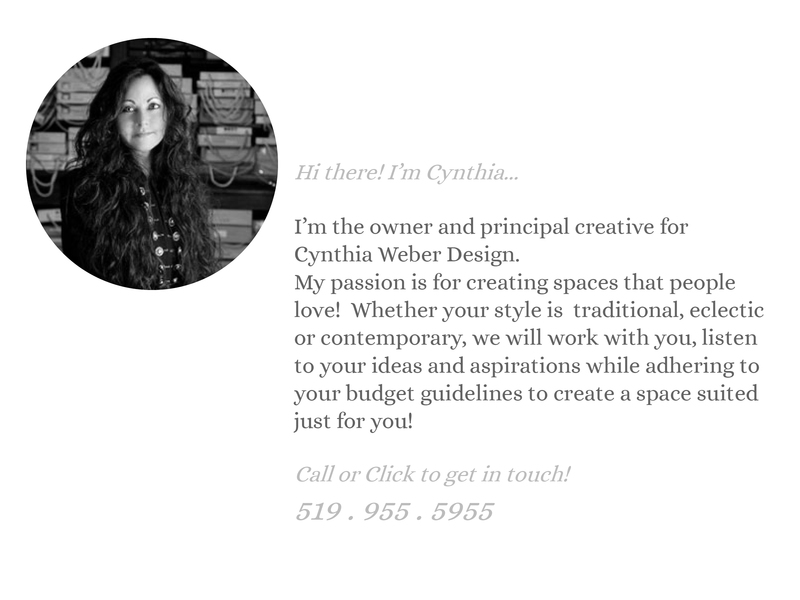 It has been recently redesigned and showcases his work beautifully! There are links to Peter’s many wonderful travel articles, his biography, archived paintings as well as paintings currently for sale.